Mattern Family: What Do You Do With The Kids?!? What Do You Do With The Kids?!? We love having people over to our house. My husband has always wanted and hoped for an open door meaning anyone can stop by at any time. We are slowly becoming more like this. 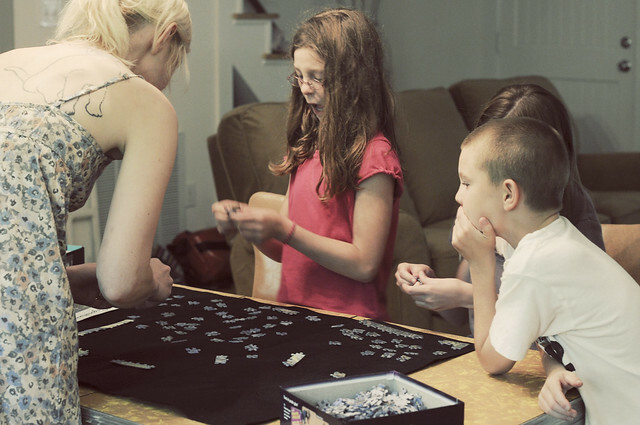 SO.. what do you do with your kids when you have guests drop by? We include them and play games! Domino spirals and Puzzles, who doesn't love those things?! That's the way it was growing up and it was a normal thing for me (i grew up in Mexico). I moved to the States when I was 22 and I so missed people just stopping by. My husband is not that way and then I became that person, too! I wanted to know when people were going to show up. I want to go back to my old way. I want people to just stop by, but what if you want to take a nap? ha! Amy, I really hope Father allows us to meet one day! Life, Oi! Feel free to come by whenever you have nothing to do. I'm here on Saturdays when Caleb rides, you should come hang with us. I'm out of town until last week in July. I love this post!!! Doing life together with friends and family combined, so lovely. 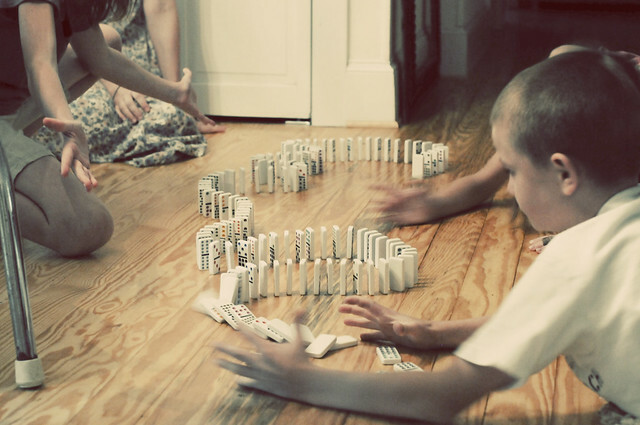 Have you ever played Mexican Train Dominoes? It's really fun:).